Michelle is a native to Columbus having lived here her entire life! 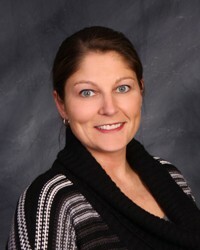 She graduated from Eastland Career Center, in 1996, from the Dental Assisting Program. She worked as an assistant and at the front desk while going to college. In 2002 she graduated from Columbus State Community College with an Associate Degree in Applied Science in Dental Hygiene. To stay sharp on dental hygiene practices Michelle takes continuing education classes. She is also certified in CPR and has her local anesthesia license. Michelle married her high school sweetheart, Brian. They have two daughters, Sydney and Brynn. In her free time Michelle enjoys watching and coaching her daughters in sports and going to concerts.